Can You Fix an Overbite with Braces? Did you know your misaligned teeth may cause a bigger issue other than just cosmetic concerns? Crooked teeth can impact how they fit together, which can cause your jaw to be misaligned. In some cases, it can create an overbite. This occurs when the upper teeth protrude over the lower ones by a proportion between 30% to 50%. This is known as a malocclusion. You do not need to live with the results. There are solutions to correct it, like braces. Comments Off on Can You Fix an Overbite with Braces? Are you ready to start your journey to a healthy, straight smile? 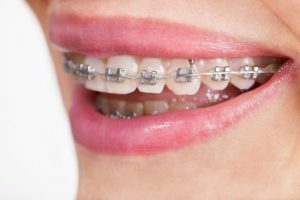 You are making a great decision for your confidence and oral health by choosing braces to align your teeth. 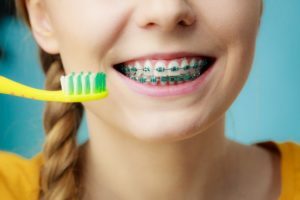 While you undergo your treatment, it is vital for you to remain proactive when caring for your braces. Although your oral hygiene routine may become a little more complicated, it is best to take the time to properly brush and floss your teeth every day.